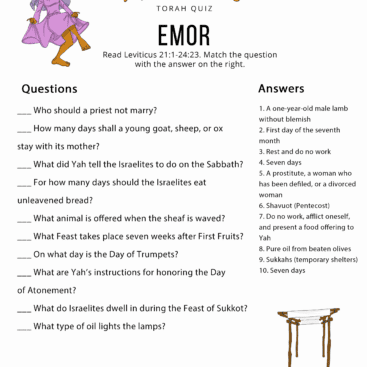 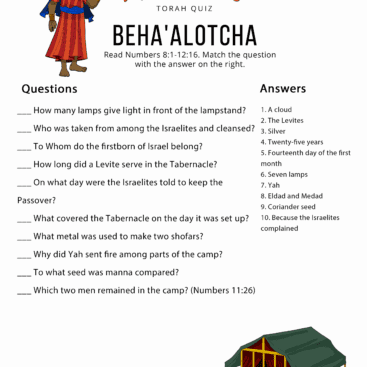 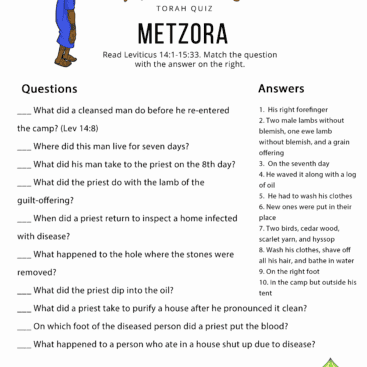 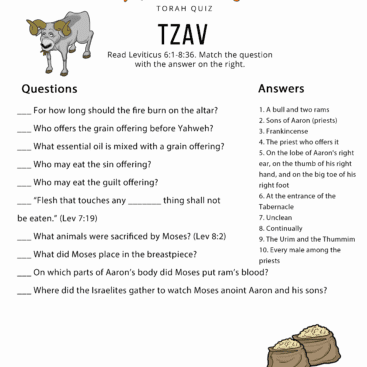 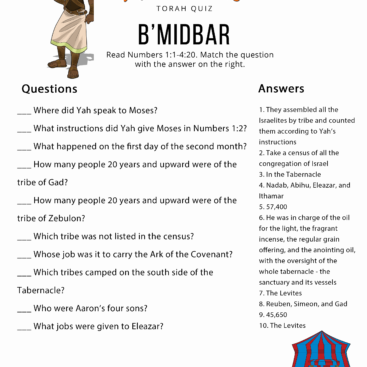 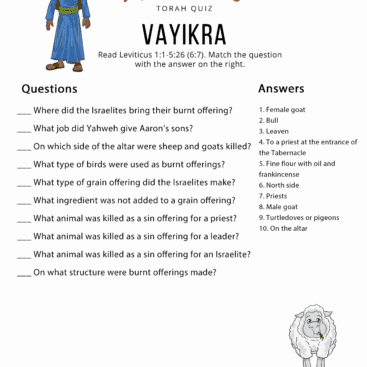 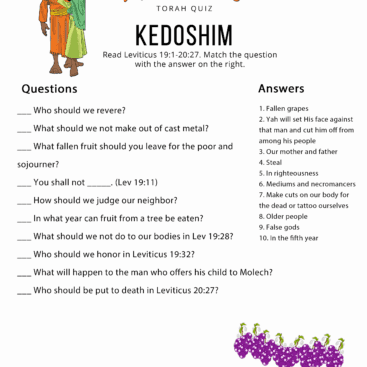 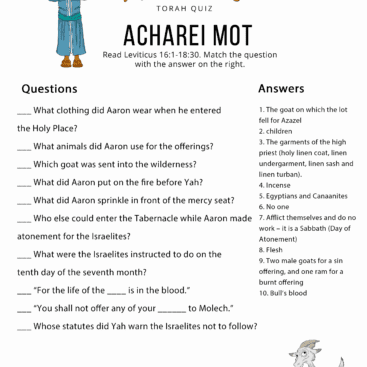 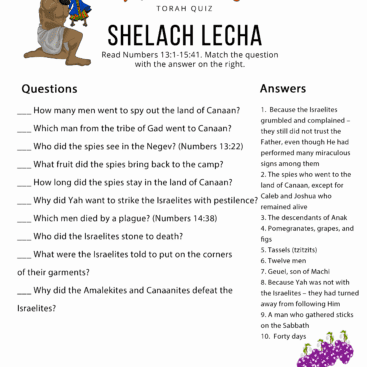 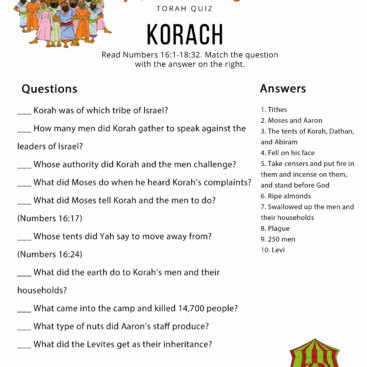 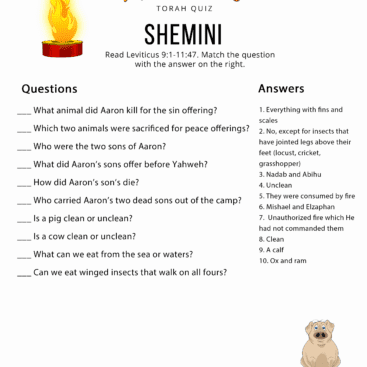 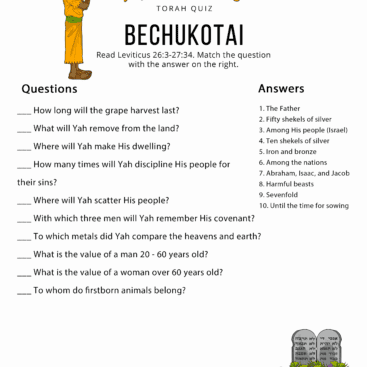 Enjoy teaching your children more about the Torah with our printable Torah Portion Quizzes. 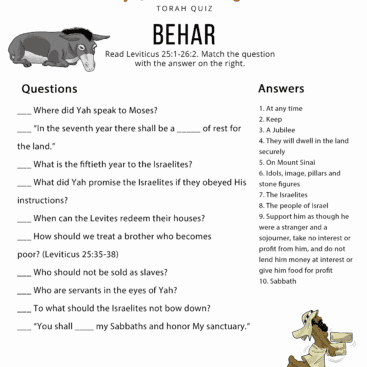 Perfect for Shabbat lessons and family discipleship time. 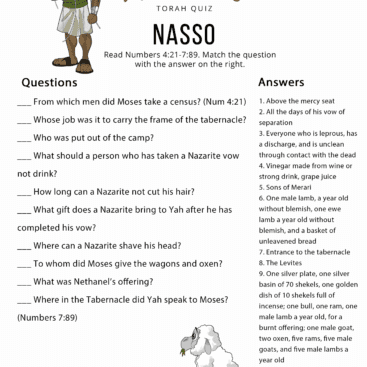 Click on a quiz to preview and download today!